It's the designer duo that turns heads.. Fyodor Golan. 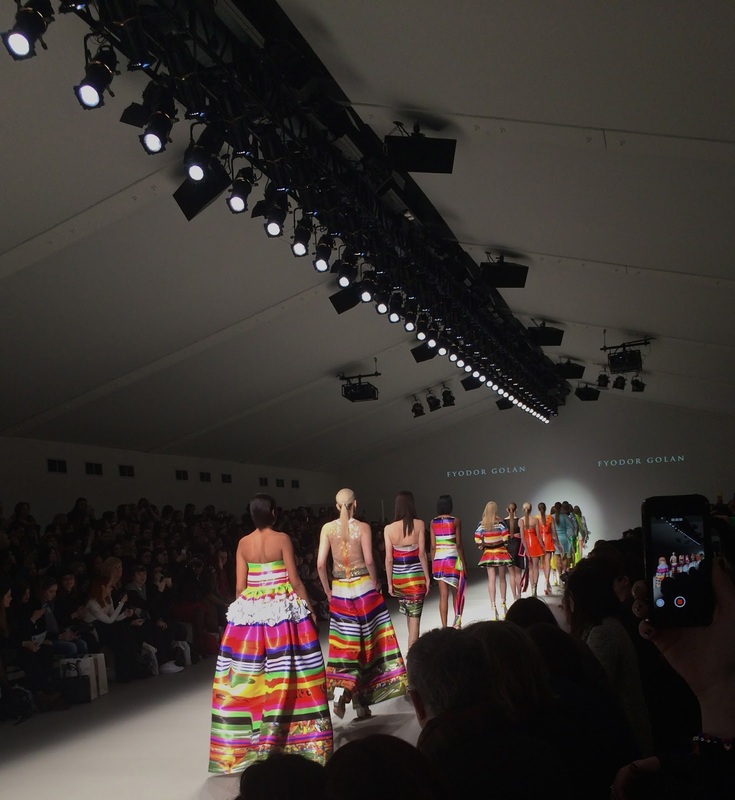 I was lucky enough to see the unmissable Fyodor Golan show at London Fashion Weekend this year and it was most definitely a popular one! The room was overflowing with people and I have to say it was one hundred percent the best show i've been to. The collection is futuristic digital fun, consisting of bright neon florals, 3D embroideries and geometric shapes combined with a selection of textures. We're talking a holographic coat, rainbow dresses and some wild and wonderful platform heels. It's certainly one for the fearless and uber confident style types (as regularly seen at Fashion Week). Although, saying that I'm totally obsessed with the feather back dress, maybe i'd pull it off at an event where the dress code was 'totally bonkers', I'm not sure walking down Oxford Street I would quite fit in. Anyway, I'll let the pictures do the talking.. even my trusty iPhone captured the outfits perfectly, due to the explosion of colour that graced the runway.